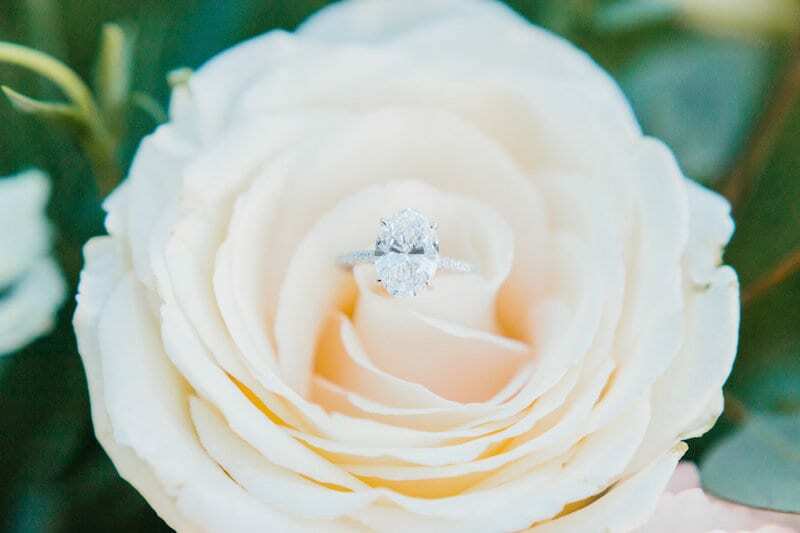 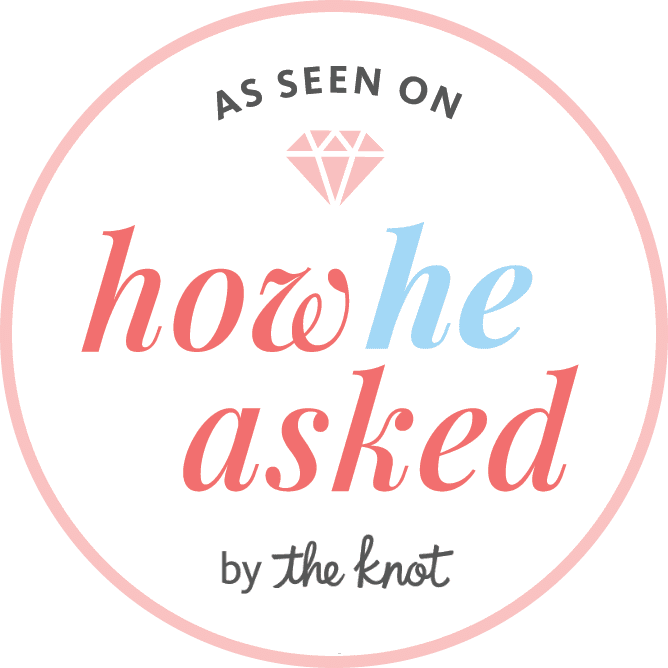 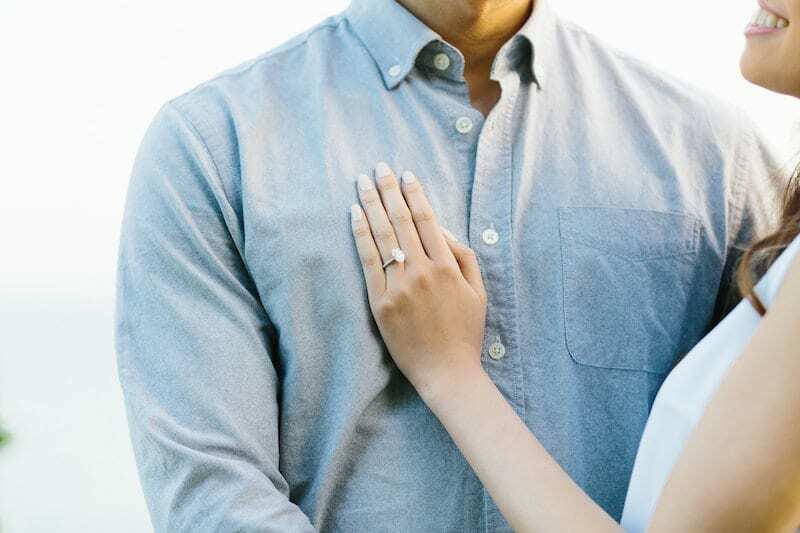 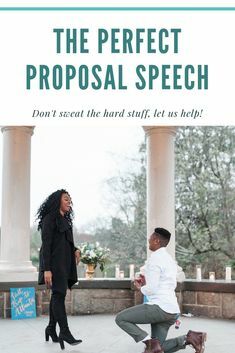 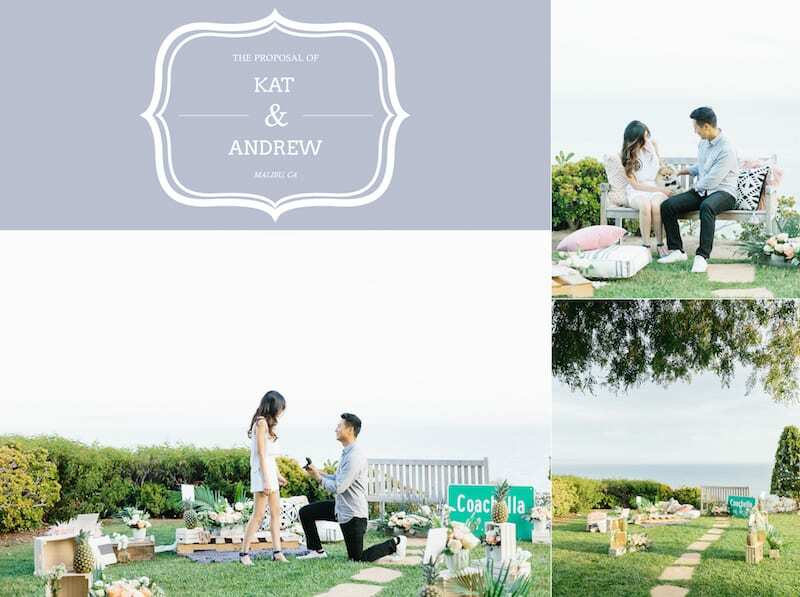 Andrew & Kat’s love story began at Coachella so we wanted to tap into that unique chapter for their proposal. 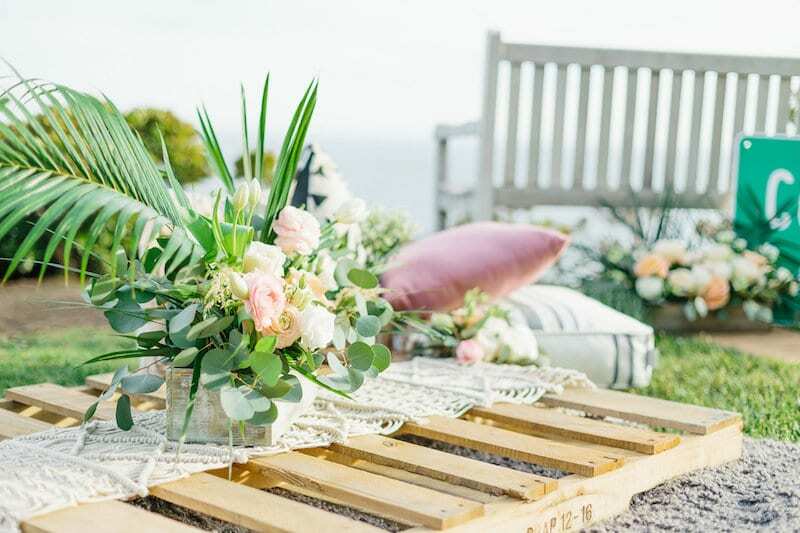 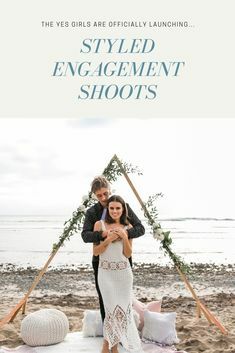 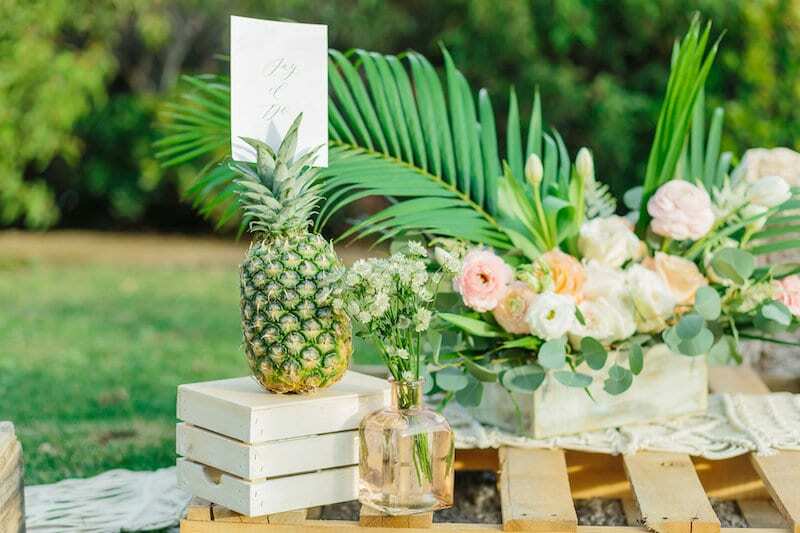 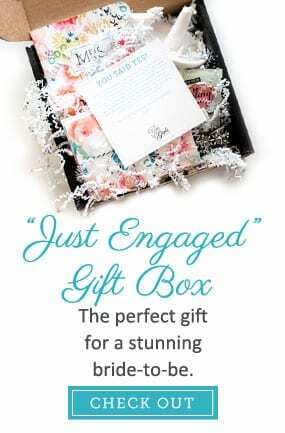 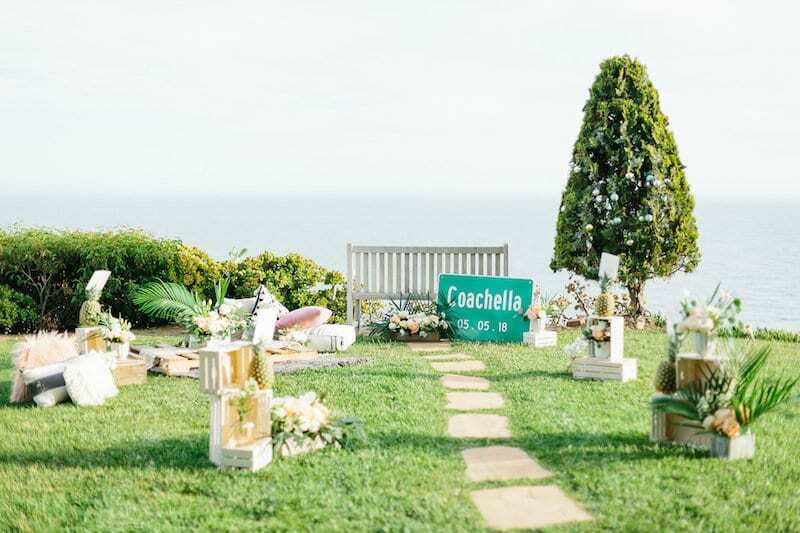 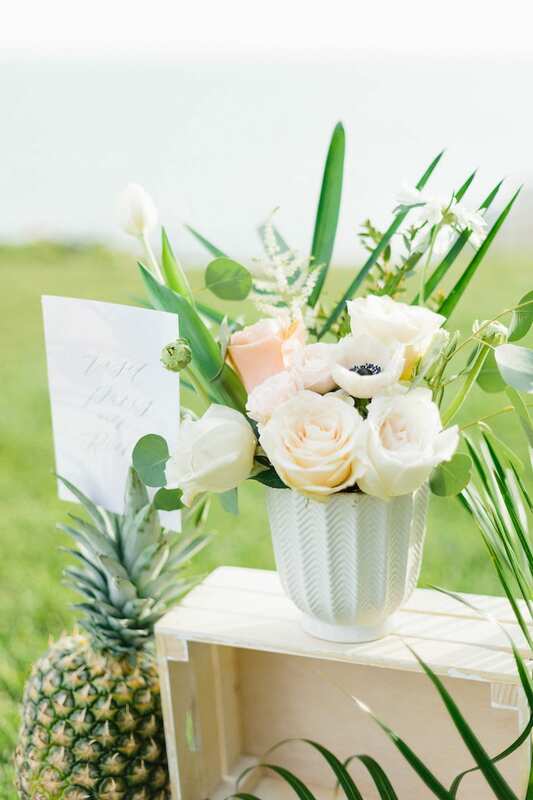 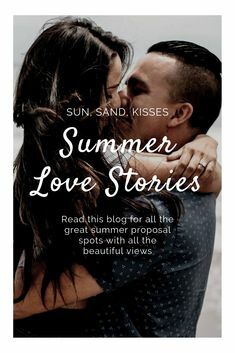 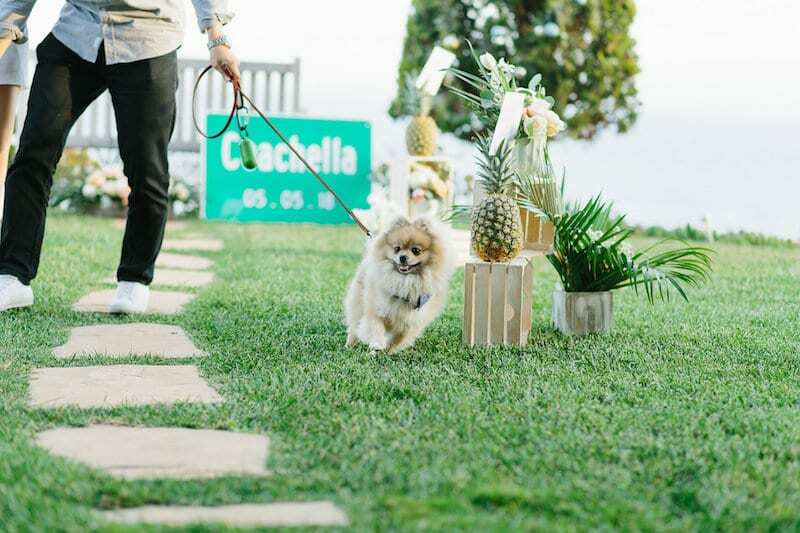 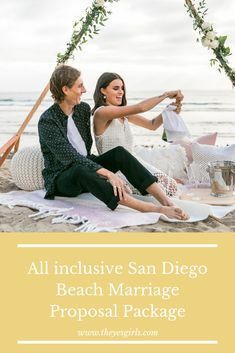 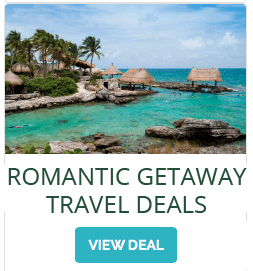 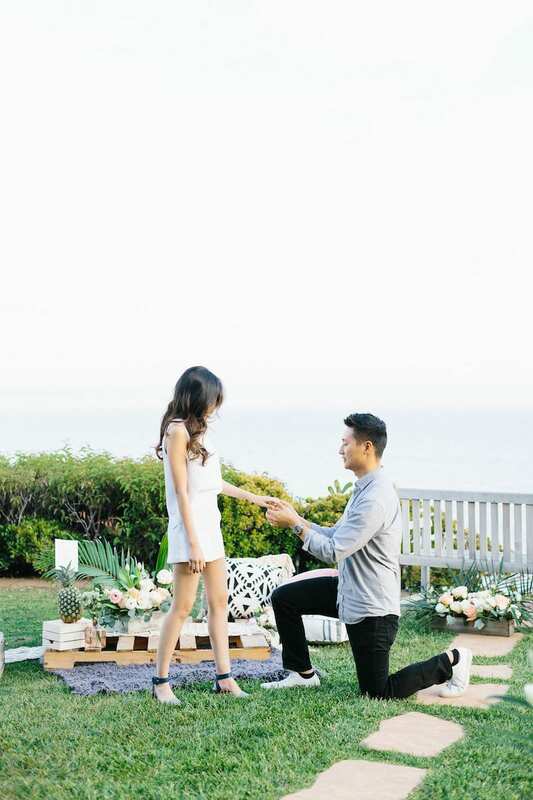 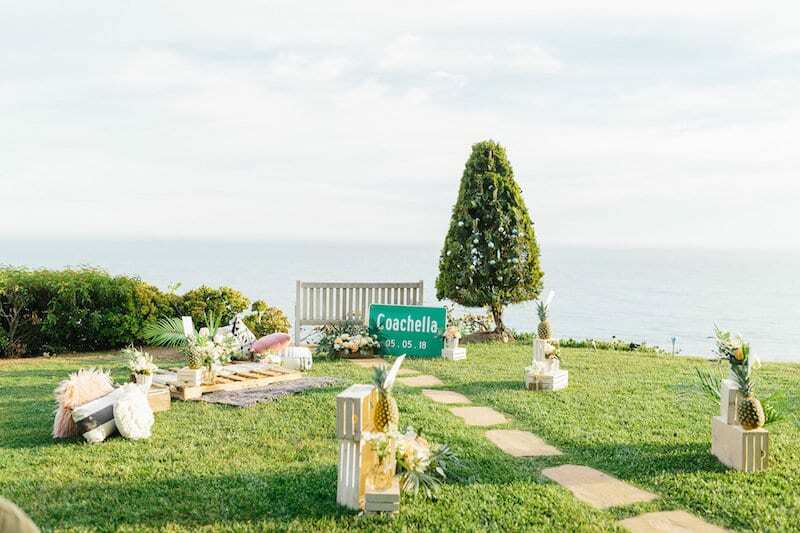 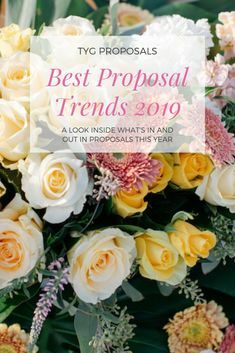 We rented a beautiful private home on the Malibu coast and set up a tropical, boho, picnic complete with custom Coachella road sign (notice that instead of a “population count” it has their proposal date!). 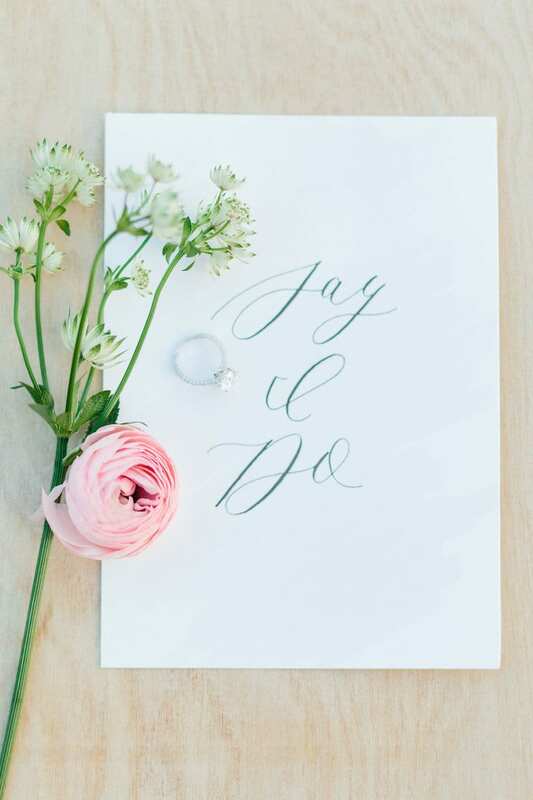 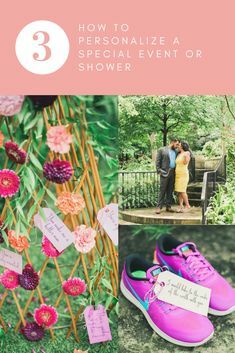 We also had beautiful calligraphy cards displayed along the aisle way up to the picnic that had bucket list items for their married life! 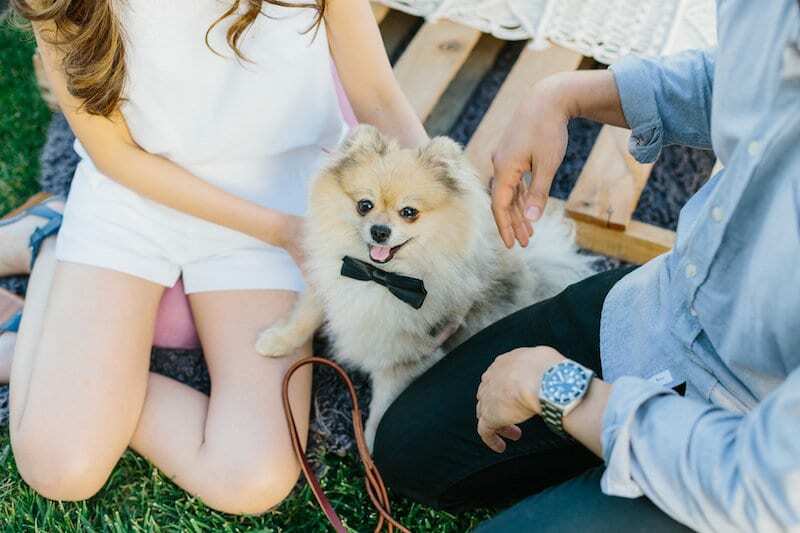 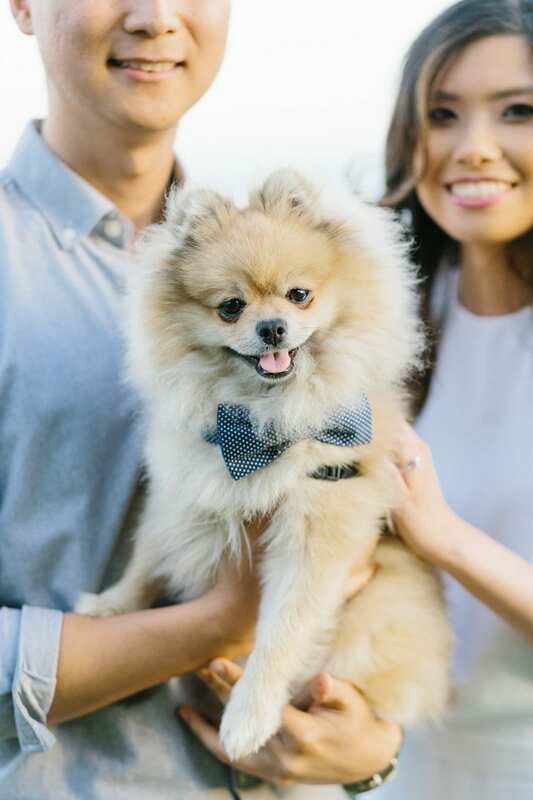 Plus their dog Rocky is a very very important member of their relationship so we got a cute little bowtie to include him in the special occasion!